Aircraft manufacturing and MRO activities come with their own specific set of challenges. Working in tight spaces with poor illumination and clunky lighting is one; getting adequate power from cable reels and distribution units is another. 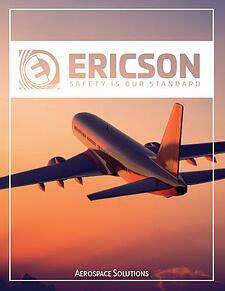 Ericson has been lighting and powering the aerospace industry for years. With our robust products offering, we're a one stop shop for your lighting, power, and cable management needs. Download our new Aerospace Solutions guide to get a glimpse of how Ericson can help make your manufacturing and MRO activities safer and more efficient. Complete the form on this page to download your own copy today.